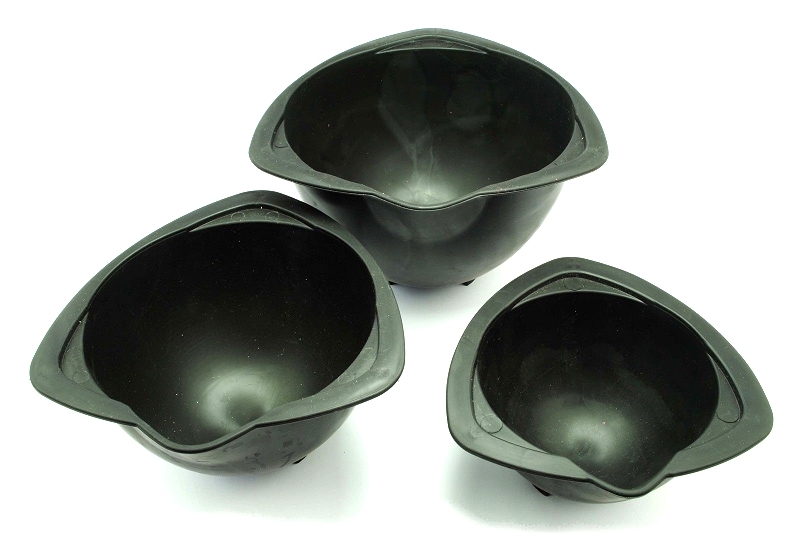 - 90mm wide bowl- depth 2"
- 115mm wide bowl- depth 3"
- 135mm wide bowl-depth 3.5"
These bowls pack neatly together for easy storage. 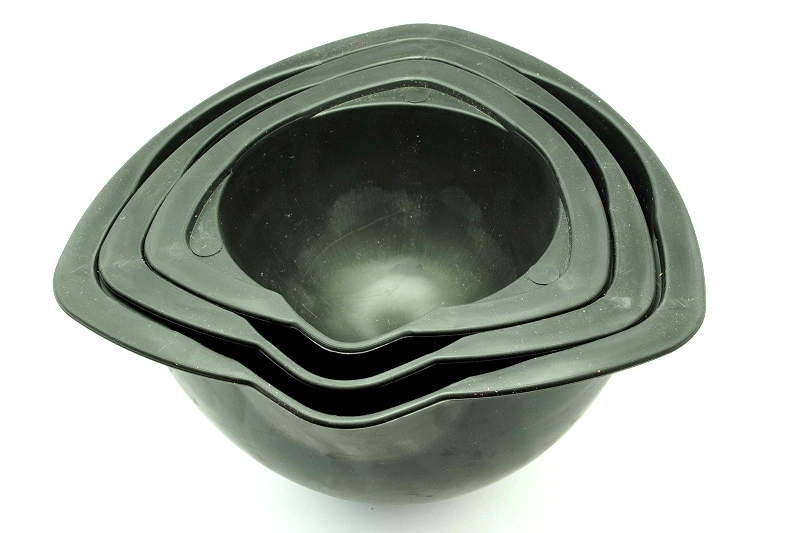 Rubber investment powder mixing bowl. 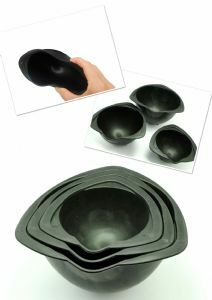 Available different sizes and bigger quantities.